Looking mainly for trades, open to anything 5x112/5x114.3. 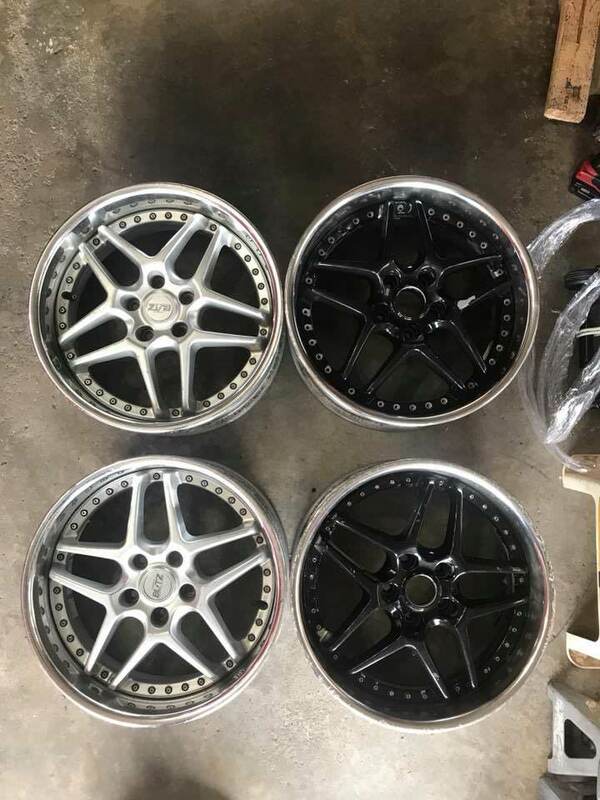 wheels are in great condition minus minor defects such as light rash on the lips and paint on the faces not being in the best condition. There are no bends cracks or any repaired cracked. wheels are 100% straight. One of the black wheels are missing a wheel bolt and the two center caps are also missing as shown. Last edited by mkvrob; 12-07-2017 at 08:05 AM..
LMAO! hahahahha, let me know if you're interested at any time man! Do you happen to have a price in mind, bump? Yes, I currently have them listed as $1800 OBO right under the picture, but I am willing to negotiate to get these sold. Price drop $1700 OBO or trades for RPF1s, battles or anything in 18s square. Not looking to split them at the moment sorry. I just need them all gone. $1500 OBO Can't believe I still have these! Cant believe these havnt sold.